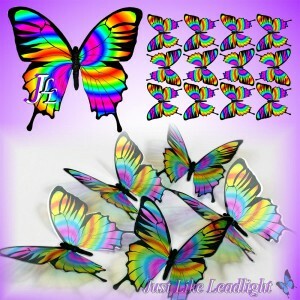 Chakra coloured butterfly and dragonfly film cutouts. 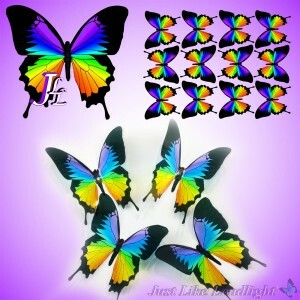 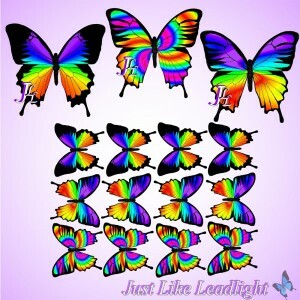 Use these 3d insects to decorate suncatchers, scrapbooks, card making, wall art, wedding cake decorations and much more. 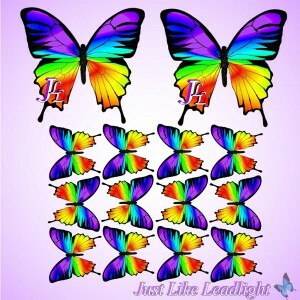 Chakra butterfly #1 - colour film wing cutouts 12 butterflies per pack - uncut (trim the butterfl..
Chakra butterfly #2 - colour film wing cutouts 12 butterflies per pack - uncut (trim the butterfl..
Chakra butterfly #3 - colour film wing cutouts 12 butterflies per pack - uncut (tr..
Chakra butterfly mixed set #1 large size - colour film wing cutouts 12 butterflies per pack - unc..